While known as the man behind Afrobeat, Fela Kuti, like many musicians, took years to develop his unique sound. This collection offers a fascinating view in on this process. It Chronicles the years 1963- 1969 before Kuti formed Africa 70 and created the unique hybrid of influences which became Afrobeat. At the start of his career, Fela was a popular dance band leader in Lagos. After attending London’s Trinity College and playing trumpet in various capacities, Kuti returned to Lagos in 1963, with dreams of becoming a successful modern jazz player like Charlie Parker or Dizzy Gillespie. During the rest of ‘60s, he recorded numerous sides for various labels both local and major, including an album for EMI. The music Fela was cutting at this time, came from the West African slant on jazz called Highlife. It also had hints of Soul that would later evolve into Afrobeat. In terms of style,tracks are all over the map. Everyday I Got The Blues is straight up Blues, Its Highlife Time is cocktail lounge Jazz, while Moti Gbroken is experimental Jazz with a distinct West African vibe. Waka Waka verges on Funk territory. All these tracks are live. This collection boasts three discs. Disc One focusing on his singles, Disc Two on the album and Disc Three on Live and other recordings. Kuti’s singles reveal a musical restlessness, jumping from genre to genre. On tracks like Ajo and Abiara you can begin to hear Kuti fusing his influences together, tentatively finding his own voice. 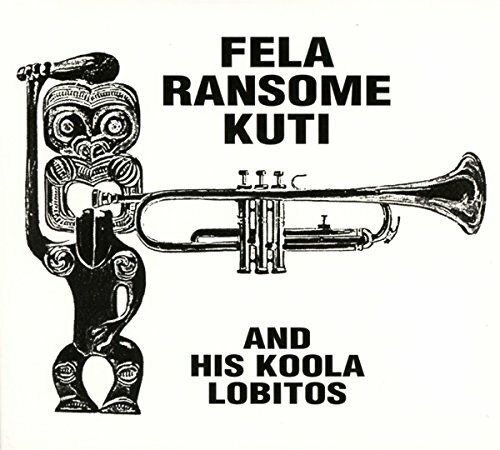 Singles like Bonfo and Fere find Kuti at his most conventional and commercial. This collection presents the dynamic development of a groundbreaking artist rapidly evolving and finding his own voice and style. Without a doubt this will appeal to completists and die-hard fans but it isn't best introduction to Fela Kuti's signature sound.